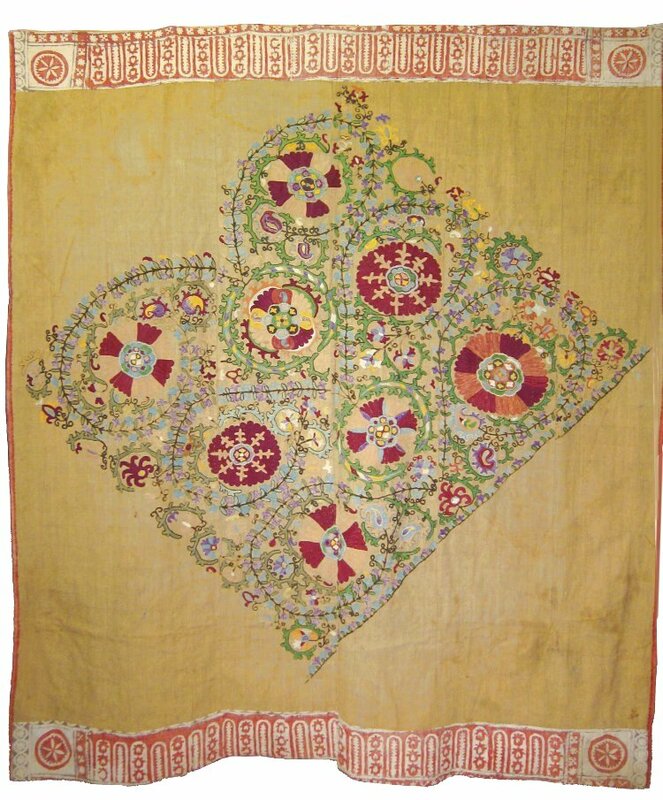 The embroideries of this partition are more those of the sedentary people, although the suzanis are also common among the nomads. 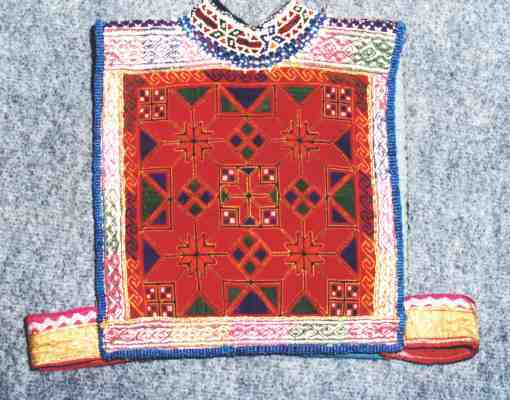 A suzani is one of the needle works, a the bride's family has to produce before her marriage. There are usually several women working at it. 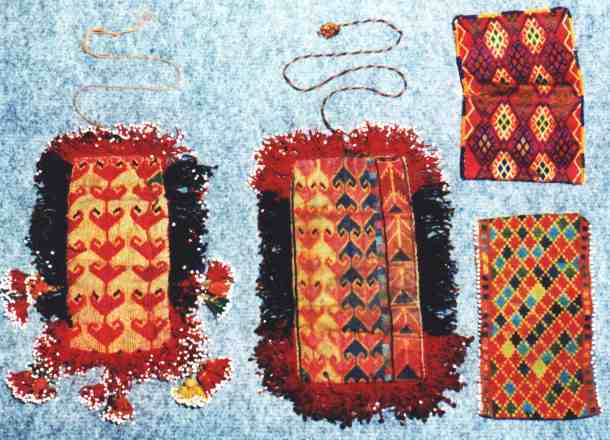 The first of the suzanis is a rare old item embroidered on an ikat tissue (for more information see the ikat and velvet section). 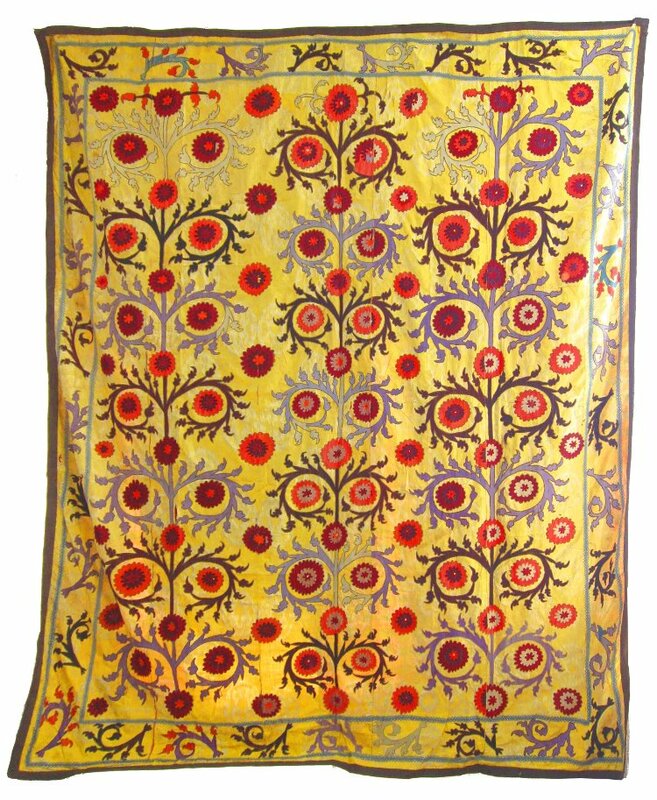 The second is a nim-suzani (half size), embroidered on a home-spun and home woven cloth made of several small stripes. 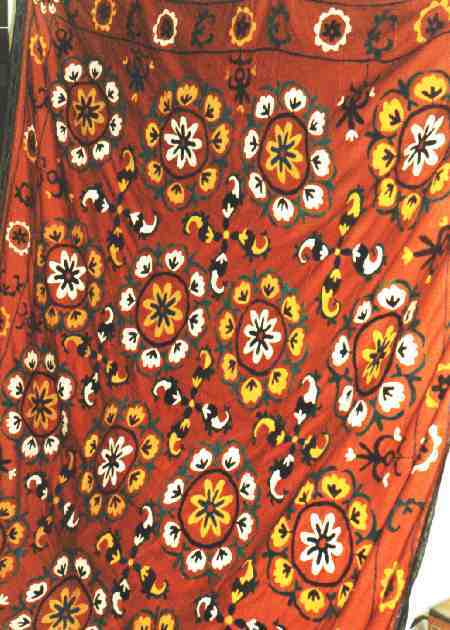 The third suzani is a classical ordinary one. The small bag front is of a very fine making and was probably only made for decorative purposes. The caps are usually worn with a turban around them. The vest was made for a small child. 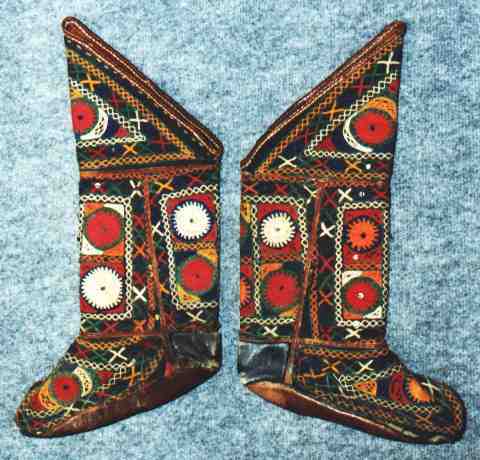 Embroidered leather boots like the pair we want to show you were worn by men and women. Those tiny bags are purses.